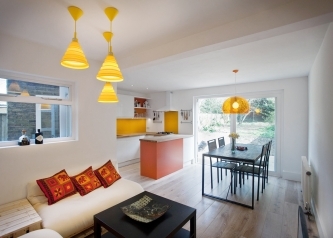 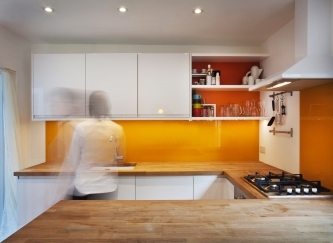 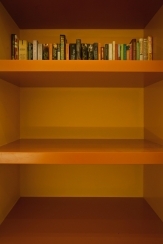 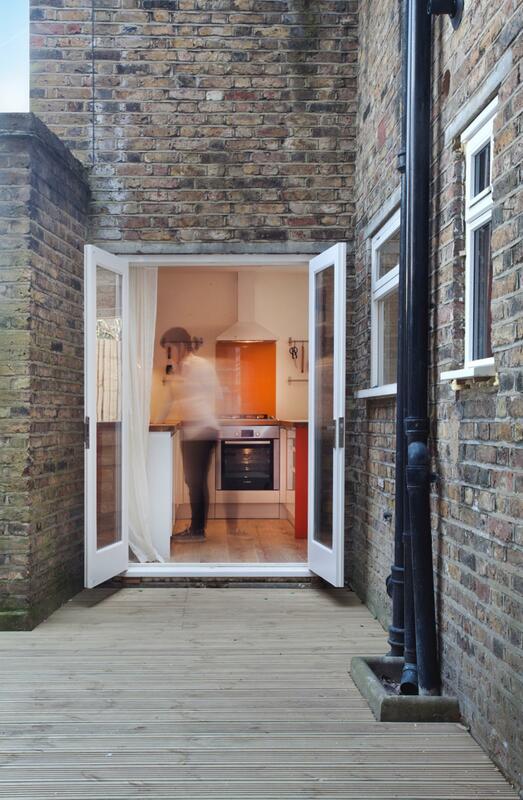 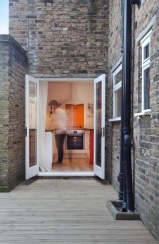 ÜberRaum were appointed to re-fit a two bedroom garden flat in Tufnell Park, North London. 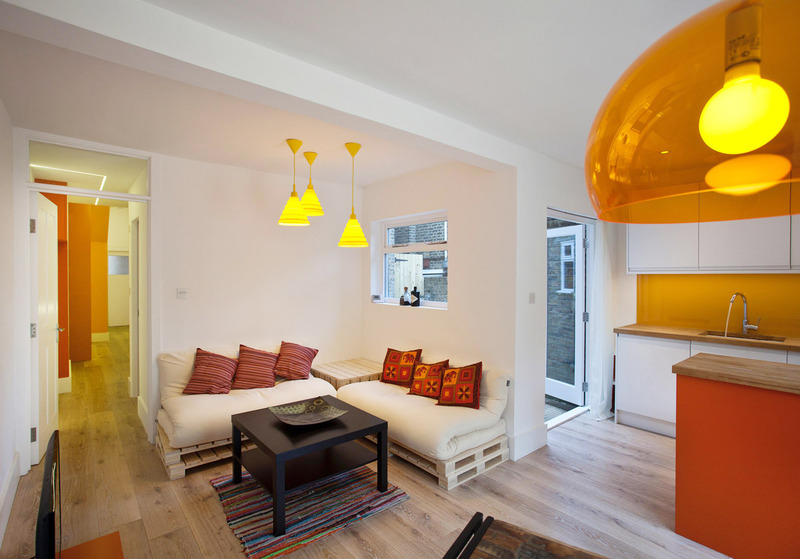 The brief was to refurbish the flat and introduce new and exciting features to accommodate a contemporary urban lifestyle. 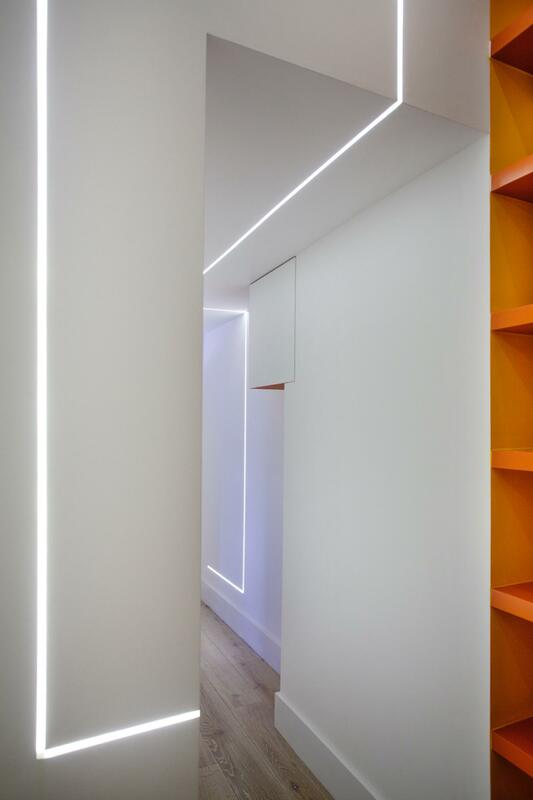 Our design concept went beyond a standard renovation and included interior and lighting design as well as a new colour scheme. The lighting concept established a system of continuous light lines meandering through the flat, creating a connection between the rooms and the hallway. 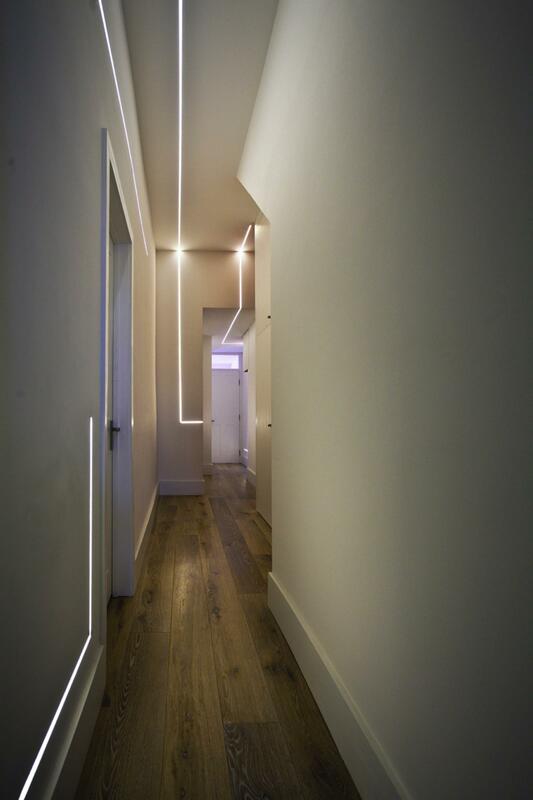 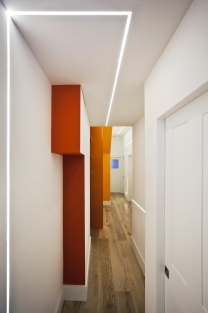 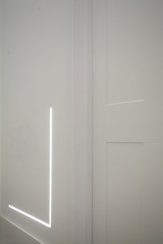 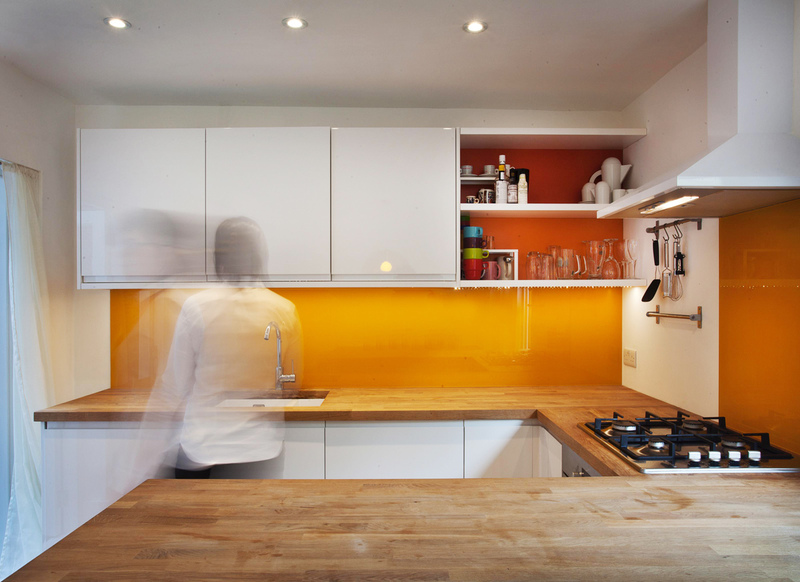 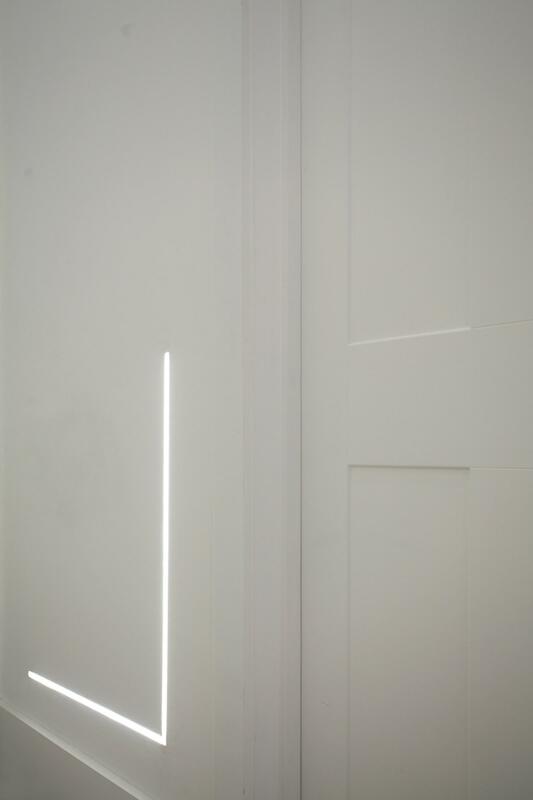 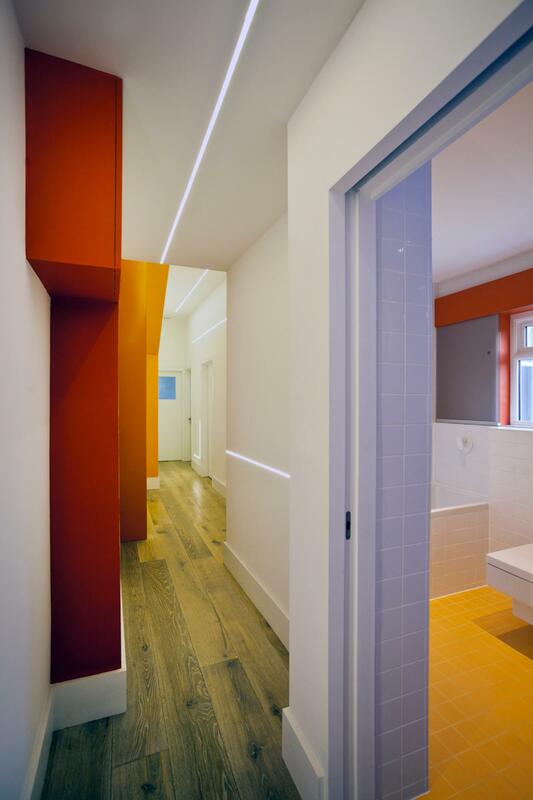 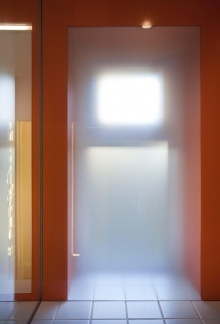 These light lines were realised by inserting LED strips that are flush with the wall surface. 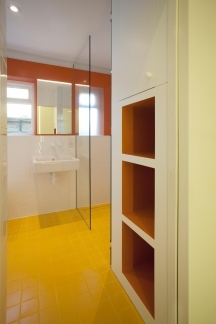 The colour scheme freshen and invigorates the bathroom, kitchen and dining areas through the careful use of bold hues from warm red to orange and yellow.